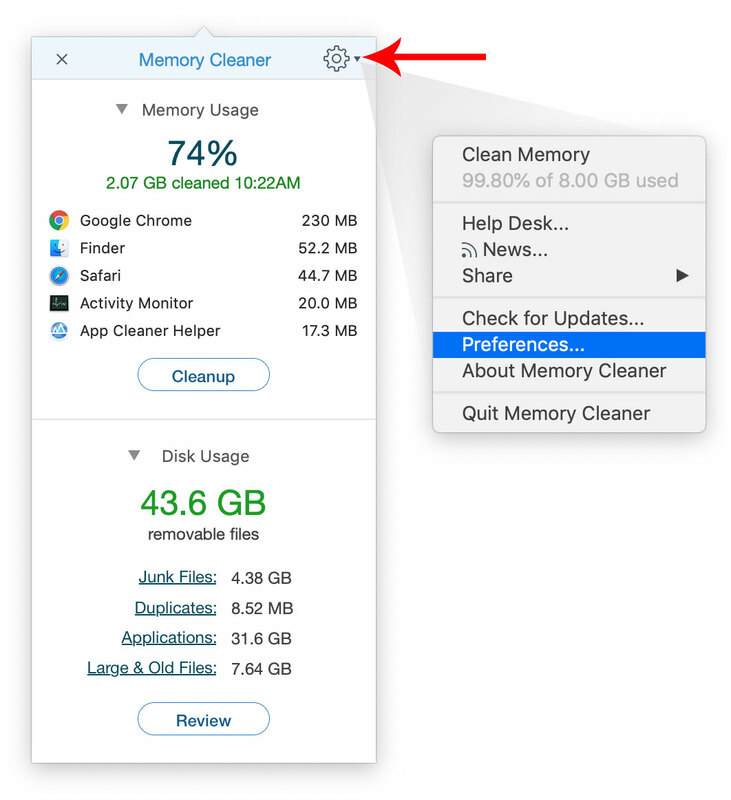 Memory Cleaner is an app that frees up memory (RAM). 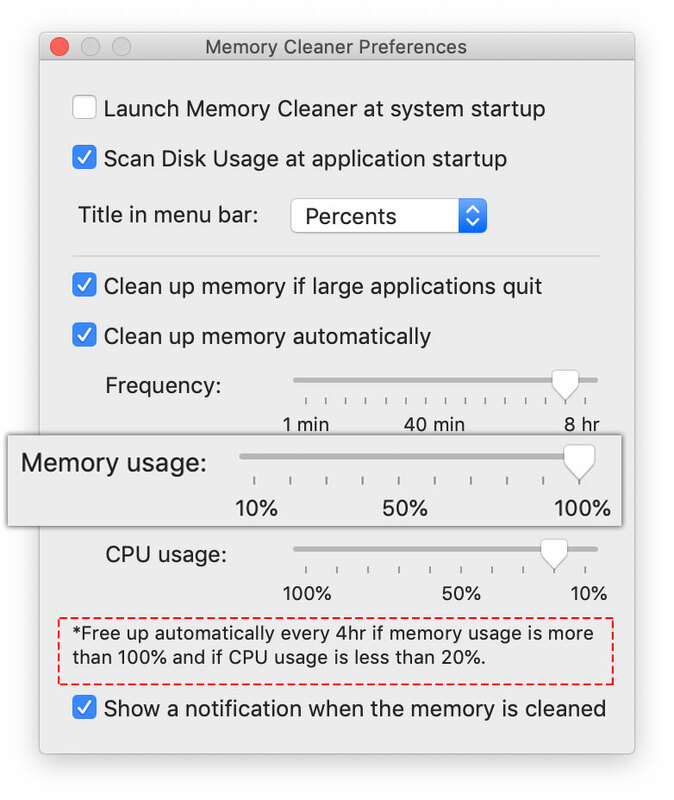 You can view memory usage and clean inactive RAM whenever you want. You can also free up memory automatically. 1. 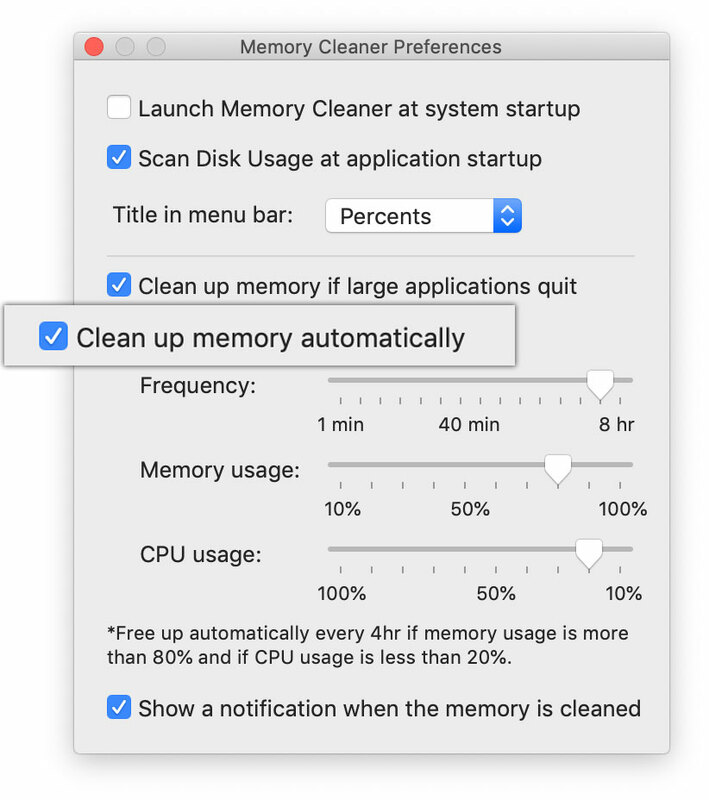 Go to the Memory Cleaner window and click the Settings icon. 3. Tick “Clean up memory automatically”. 4. Choose the percentage of used memory, when it will be freed up automatically. Move the cursor on the line.